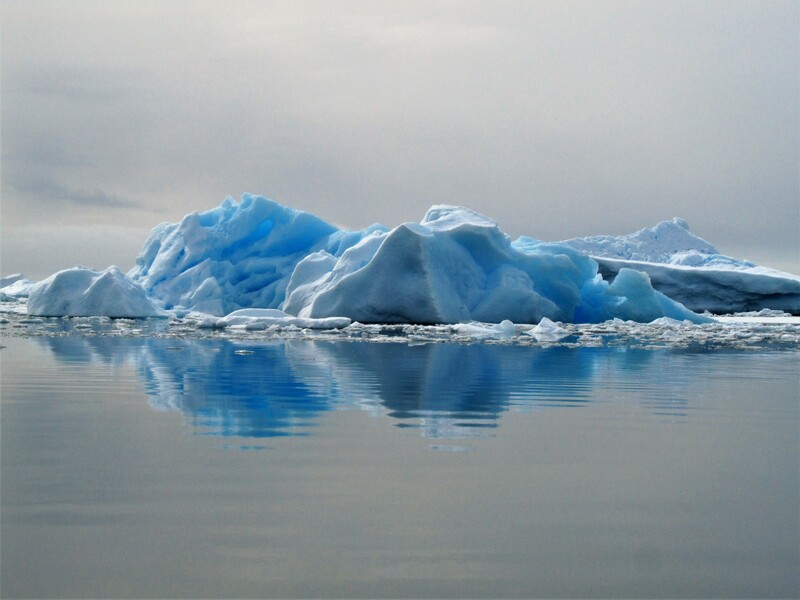 Welcome to our News page! 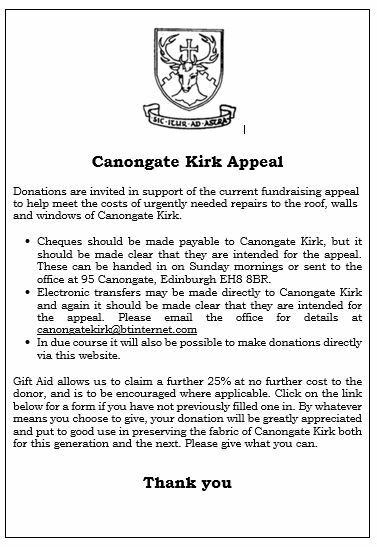 Scroll down to find out what’s on and what’s been happening at Canongate Kirk, the Kirk of Holyroodhouse and Edinburgh Castle. 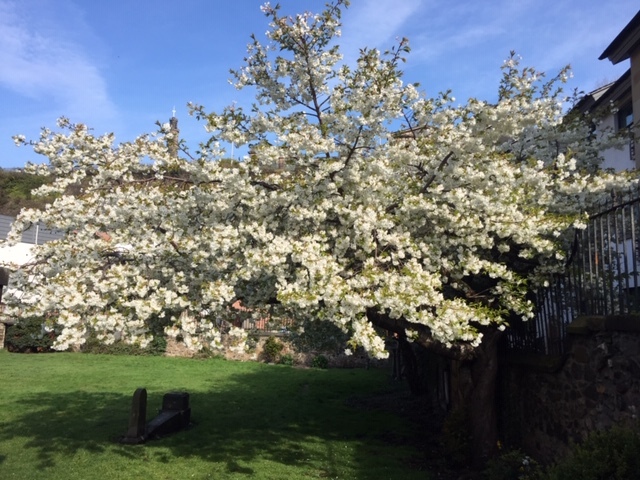 White cherry blossom in the kirkyard. A sponsored walk around Arthur’s Seat and a beautiful recital by harpist Erynne were two of the most recent fund-raising events for the Church appeal. Thanks to all the runners and walkers and those who provided the essential bacon rolls after the sponsored walk! Thanks also to Erynne for providing such magical harp music. The two events have raised several hundred pounds between them. Over 70 guests attended a fundraising garden party hosted by the Minister following the 11.15 service on June 24th. Guests enjoyed refreshments, music and good company in the beautiful surroundings of the Manse garden. As is usual in Scotland, a contingency plan had been made to move indoors in case of rain but thankfully this wasn’t necessary as the weather was fabulous! All funds raised will go to the church appeal and thanks are due to all those who attended, contributed and helped to make the event such a success. Previous fundraising events took place on 10th May in the Harry Younger Hall when Martin Baker (retired atmospheric physicist and Antarctica base commander) gave a fascinating presentation on Antarctica and Global Climate Change. As Martin has visited the area to study it many times over the past 30 years or so, this was a very personal perspective accompanied by some of his stunning photos of the region. The talk raised an impressive £600 for the Appeal fund. 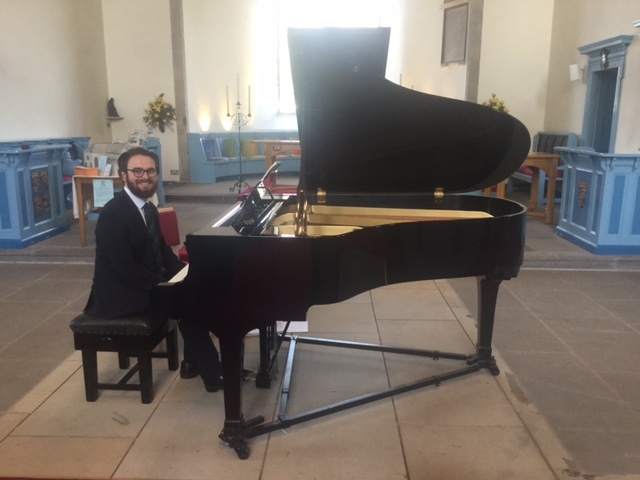 One of our first fund raising event for the Appeal took place on Sunday 29th April when Ally Collins, one of the younger members of our congregation and a superb pianist, gave a 30-minute piano recital of works by Chopin. Ally, pictured here, kindly donated the very generous retiring collection to the Appeal Fund. 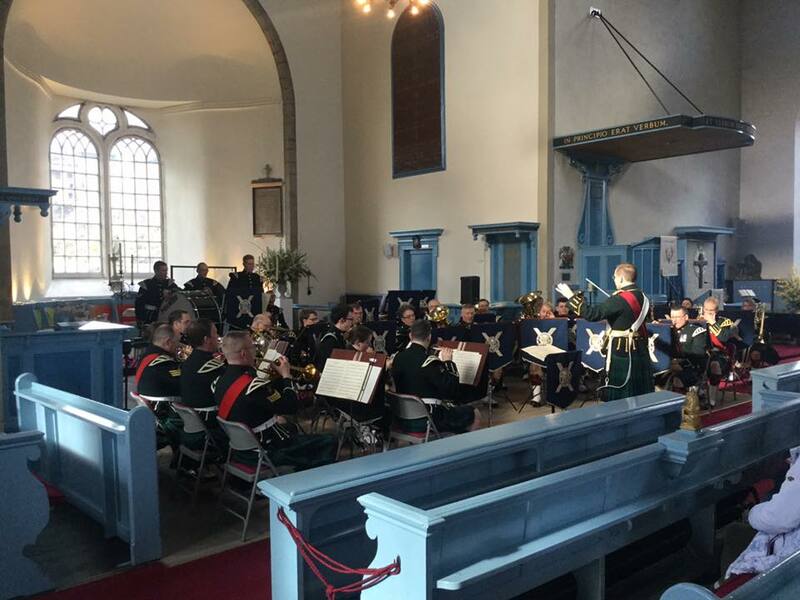 A big thank you to the Lowland Band of the Royal Regiment of Scotland who thrilled tourists with a rousing concert on Saturday 14th April with a closing collection for the Church Appeal. More pictures on our Facebook page.